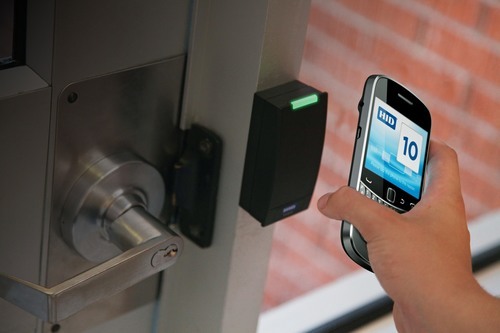 At MSS, we understand how important access control is to your business. Our flagship offering, MSS Managed Access, provides you full control over the activity of employees, visitors and contractors in your facility. We utilize many state-of-the-art technologies inlcuding proximity, biometric and keypad readers as well as two-factor authentication. We believe that integrating your access control system with other on-site security platforms such as video surveillance systems, intercoms and intrusion detection and prevention systems is the best way to ensure overall security of your facility. By using this layered approach to managed access control, MSS creates a security system that makes data management easier. MSS provides a complete variety of access control solutions ranging from a hosted model, which allow companies to remotely control their own security tasks, or a managed model which gives all security responsibilities to our experienced security team. MSS managed access provides a budget friendly solution for a company of any size to eliminate costly on-site servers and IT infrastructure. Find out which solution fits your needs today. Our managed access solutions utilize the best-in-class technology through our longstanding partnership with vendors such as Software House. These relationships allows MSS to engineer and service cutting-edge technology such as the C-CURE security management platform which ensure our clients have a security solution that is scaleable to meet their growing security needs. Please contact us to speak with a security expert who can provide more information on developing a solution that suits your business.